Aoyama Spiral, Tokyo, Japan 15th -17th September 1991. The Charlie Watts Quintet came to Japan in mid-September 1991 to promote Ode To An High Flying Bird, homage from one Charlie (Watts) to another Charlie (Parker), following an album that was released earlier that year, during the drummer's free time from the Greatest Rock’n Roll Band in the World. But the story goes farther back in time. When Charlie Watts was just 11 years old (1952) he and his friend David Green were buying Charlie Parker records and wildly fantasizing about New York and jazz. His neighbor and school friend David Green went on playing jazz and became a bass player while Charlie joined the Stones, but as early as 1960 he made a small book about the Charlie Parker Story named Ode To A High Flying Bird (that was released with the first real money gained from the Stones in December 1964). 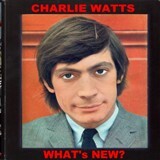 In 1968 Charlie Watts was involved in the making of the People Band jazz album released in 1970, then put up Rocket 88 with Stu and in 1986 he created the Charlie Watts Orchestra with which produced Live at Fulham and 5 years after created The Charlie Watts Quintet and brought up the Charlie Parker Story with the album Ode To A High Flying Bird that was released worldwide with a replica of the '64 book Soon after he did a mini world tour to promote it, coming to Japan as well where his performance was broadcasted on 15th November 1991 by JSB Japan Satellite TV and here it is. This recording is visually very good even if the audio fails for the first 7 minutes wobbling, probably due to a faulty VCR recording. But when the concert starts it’s OK showing the beauty of the Quintet that alongside Charlie Watts (playing sax at the beginning of "Practising, Practising, Just Great") has some real great musician like Brian Lemon on piano, Gerald Presencer on trumpet and Peter King on alto sax. The Quintet is also accompanied by a Japanese string Orchestra that in songs like "Going, Going, Going, Gone" do really recreate a New York atmosphere where Peter King's sax roams. Each song is introduced by Bernard Fowler that explains its meaning. This DVD has then as a filler some Rolling Stones clips like excerpts from Charlie Is My Darling film, some promo videos and a German TV small special on Brian Jones death and The Ed Sullivan show.